This round neck sweater has been knitted in a wool and yak blend yarn making it soft, warm and lightweight. 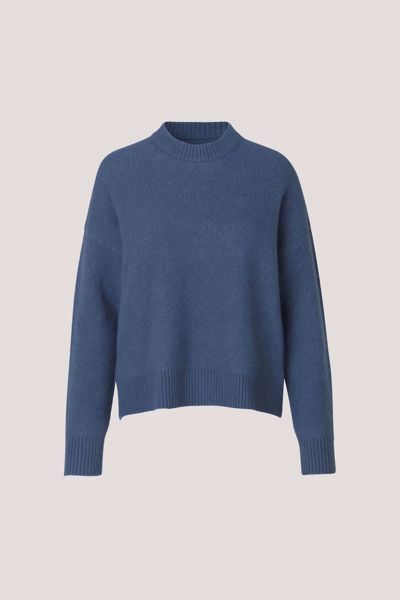 Designed with a relaxed fit, this knitted sweater is finished with neat fitting rib trimmed cuffs, collar and hems. Center back length on size small is 55.5 cm.